The superior quality of NOTTER TABLETTING TOOLS is particularly important for Multi-Tip and Pelleting Tools. 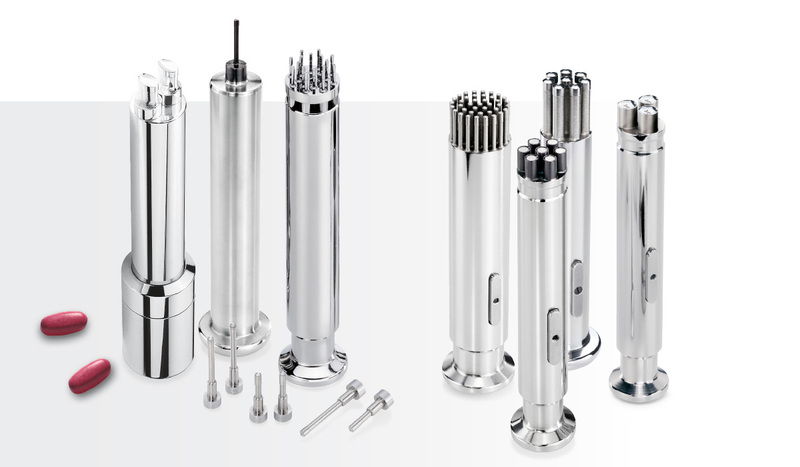 Designed to the highest quality standards, NOTTER precision tools will always deliver the perfect performance. Owing to their consistent operational length and exact pressing dimensions, our multi-tip and pelleting tools are capable of producing perfectly uniform tablets even during high-speed processing. NOTTER Mono-Multi-Tip Tools are manufactured from a single piece of steel. Compared to composite multi-tip tools, these mono tools – due to our innovative production concept – can be operated at very high speeds. Thus, they are capable of achieving impressive throughput volumes, while maintaining consistent dosage precision and tablet weights. In addition they are as easy to set up as standard moulding tools and can be cleaned in accordance with GMP guidelines. Use our Online Volume Calculator to quickly and easily calculate the volume for the five most common tablet shapes.